Charging Cables for X-WATCH smart watches. USB-charging cable for X-WATCH SIONA XW FIT. The premium ladies smart watch by XLYNE Pro. Good conductivity with its copper core, high protection thanks to the premium cover. Input/ Output voltage: 5V, enables charging with a maximum of 1000 mA. Compatible with all common USB 2.0 ports. USB-charging cable for X-WATCH QIN XW PRIME II. The premium smart watch by XLYNE Pro. Input/ Output voltage: 5V, enables charging with a maximum of 2000 mA. 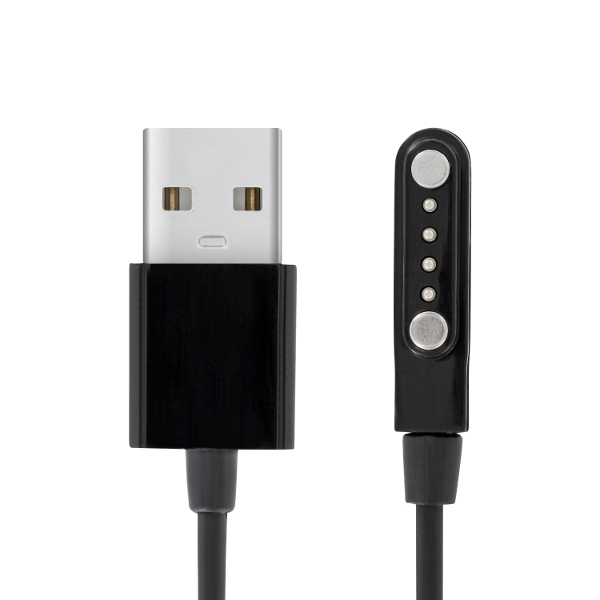 USB-charging cable for X-WATCH NARA XW PRO. The premium smart watch by XLYNE Pro.